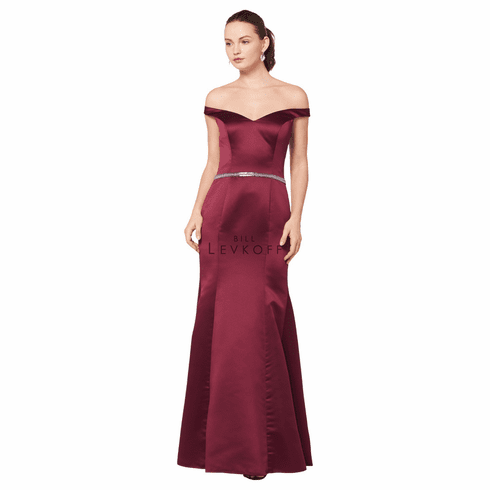 Description: European Satin off-the-shoulder portrait neckline gown with princess seams. Beaded band at the dropped waist. Mermaid style skirt.